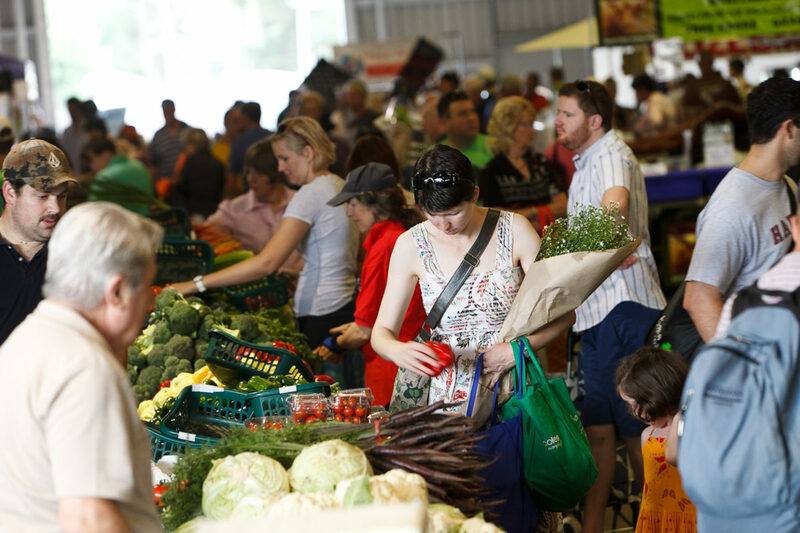 The Capital Region Farmers Market is still the original, the biggest and the best farmers market in Canberra. Established in 2004 by the Rotary Club of Hall, the very first market was held without any financial support or grants from other sources. It started with just 15 stalls and around 500 customers. But it helped the farmers of the region immensely. Today, the Market is still managed by Rotary and it provides customers with a diverse range of fresh produce straight from the producer to the consumer, builds local agri-business opportunities for regional producers to sell fresh farm and food produce, and provides a community dividend to the region. And the Market is going well. It has been successful as an economic driver for local and regional businesses and now has around 200 registered stallholders hosting 100 stalls and welcoming around 7000 customers each Saturday morning to Exhibition Park in Canberra. The Market offers a diverse selection of seasonal fresh fruit and vegetables, the best meats, seafood, cheeses, nuts, honey, baked goods, gourmet and pre-made foods. Visitors love it because of the fresh tasty food, but also due to the lower food miles and knowing they’re supporting local and regional farmers and growers.